Robin Sanford Roberts originally studied architecture at Louisiana State University in Baton Rouge. After completing her studies she worked for several prominent architectural firms in Baltimore, Maryland. Her career took a turn towards a more creative path after a summer of inspirational study at Ecole des Beaux Arts in Fontainbleau, France. Robin then moved to San Diego to pursue a Masters in Fine Arts in Theatrical Set Design at the University of California San Diego. After receiving her Masters, Robin worked at the Old Globe Theatre for several years as the resident design assistant. While at the Old Globe Theatre she received a prestigious NEA/TCG grant and traveled extensively throughout the United State and Europe working directly with and observing amazing artists such as Anne Bogart, Theadora Skipitaras, Joaane Akalitis, John Conklin and Jahne Mathieson. 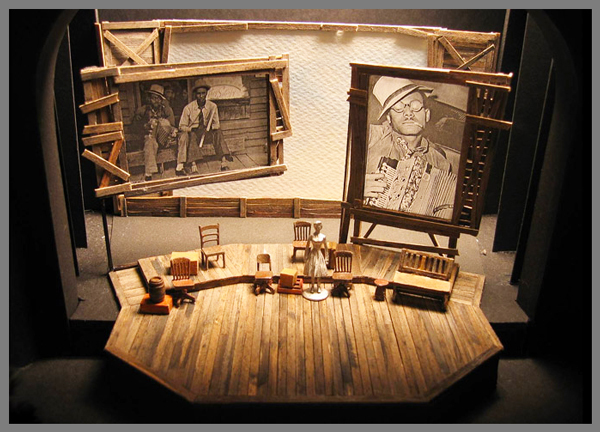 Robin has been working professionally as a scenic designer for over a decade. She has collaborated with hundreds of artists and directors on over seventy-five different productions throughout the United States and Canada including twenty-five productions at The Old Globe Theatre in San Diego. 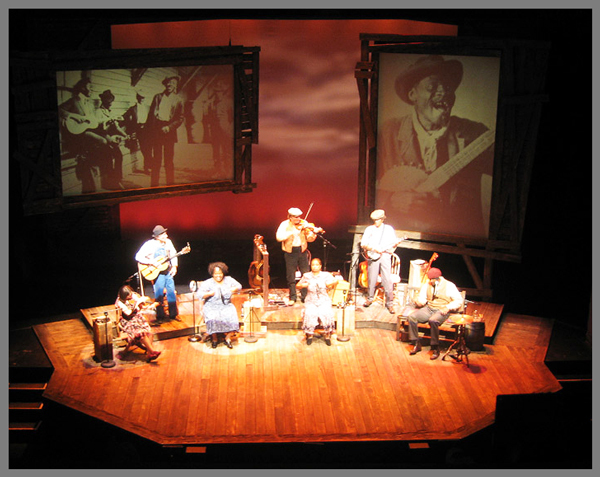 Robin’s scenic design work has been featured at numerous regional theatres and her Broadway show, “It Ain’t Nothin But the Blues”, was nominated for a Tony Award. Robin has also been heavily involved in educating as well as mentoring young designers. As a professor at the University of San Diego she taught and developed numerous design courses for over six years. She has also guest lectured at the University of Redlands, La Jolla Playhouse, and the University of California San Diego and she currently teaches courses at the Bravo School of Art in Liberty Station. Robin currently has a studio in San Diego, California and is a member of the United Scenic Artists 829 and the United States Institute for Theatre Technology. She continues to work extensively as a scenic designer and an artist. Robin recently received a highly sought after Thurgood Marshall Commission to create an outdoor sculpture on the University of California San Diego campus. 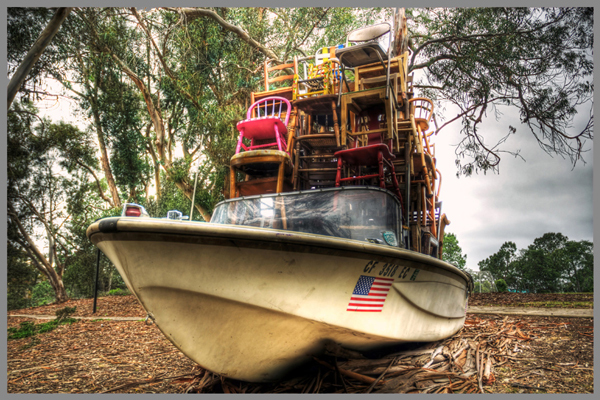 Her sculpture, “The Boat/El Barco”, has become the capstone of the Public Arts Initiative at the University of San Diego. I was struck by the creativity of Robin Sanford Roberts' scenic design..."
Making incredible use of the vertical expanse of the theater, the two-story set places the interior of a telescope above a university office. Robin Sanford Roberts uses the hanging lights and parterre to create a subtle extension of the telescope..."
Robin Sanford Roberts’s detailed set for the Rep’s production could pass for an Edward Hopper diner - a patina of grease throughout, and that wavy, mildewed waterline on the rear wall, which you can almost smell..."
Visually, the sets created by Robin Sanford Roberts were amazingly delicious, with a smattering of simple that truly created amazing counterpoints in each moment..."
Robin is the most imaginative at converting a small stage into a much larger canvas..."
Unique meditation of the perils of open water migration between Mexico and the United States..."